Cytoplasm. Membrane; Single-pass membrane protein Probable. 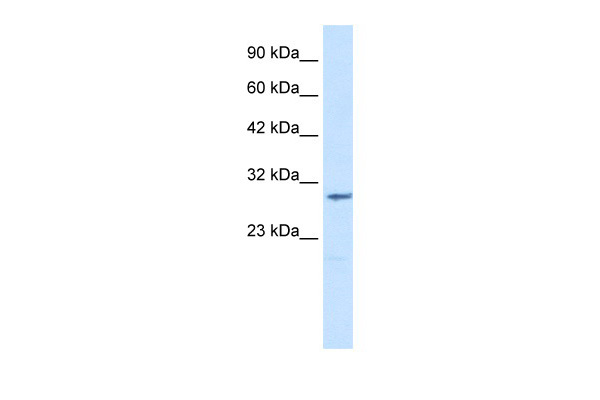 Note: Exists both as soluble cytoplasmic protein and as membrane protein with probably a single transmembrane domain. Mental retardation, X-linked, syndromic, 32 (MRXS32) [MIM:300886]: A mental retardation syndrome characterized by profound intellectual deficit, delayed psychomotor development beginning in infancy and little or no speech development. Additional features include seizures, large joint contractures, and abnormal positioning of the thumbs. Mental retardation is defined by significantly below average general intellectual functioning associated with impairments in adaptive behavior and manifested during the developmental period. Note: The disease is caused by mutations affecting the gene represented in this entry.